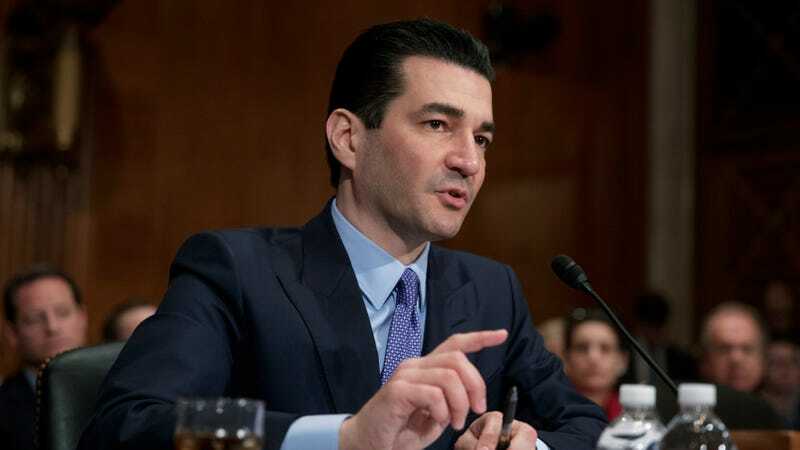 Since taking office in May 2017, Food and Drug Administration head Scott Gottlieb has set about working to make drug approval a less “slow and burdensome” process. In one case, though, the drug approval process might have moved a little too quickly, according to the independent watchdog group the Project on Government Oversight. A letter obtained by POGO in a Freedom of Information Act request reveals that Amicus Therapeutics CEO John Crowley sent Gottlieb a friendly note—just months before the experimental drug Amicus makes was fast-tracked by the FDA. “Scott, Congratulations, again!” the note from Crowley opens. “Thanks for your attention to the attached.” The attachment was a more formal letter suggesting that the FDA withdraw its request for additional research into one of Amicus Therapeutics’ drugs. Crowley’s company makes a drug to treat Fabry disease, a rare, inherited disorder that often leads to fatal organ damage. The company had already raised a few eyebrows after the FDA withdrew a request to run additional clinical trials following a meeting between Crowley and President Donald Trump. Crowley’s daughter Megan suffers from another rare disorder, Pompe disease. At his first address to a joint session of Congress, Crowley’s daughter sat in the first lady’s box and Trump mentioned her by name, promising to speed up treatments for other rare diseases. Weeks later, Crowley authored an article in the Observer praising Gottlieb’s nomination. Last year, the agency asked for another study on the drug’s side effects that would have delayed approval by at least two years. Withdrawing such a request is an extremely rare move. Then in September, Amicus won another victory with the agency, earning special fast-track status to expedite the drug’s regulatory review. Fast-tracking is no guarantee that a drug will be approved, but it does give a drug the opportunity to hit the market sooner. The drug was slated to be approved as early as this month. The letter provides additional insight into how personal relationships may have played a role in those decisions behind the scenes. Furthermore, the agency said that Gottlieb didn’t even read the letter. Either way, the correspondence is a reminder of the role that chummy relationships between regulators and industry (or industry and academia) can sometimes wind up directly impacting public health. It’s not a new concern—but it is a very real one.